Tours are free and last approximately 1h15 min. LUMA Arles will include a ressources building in an ambitious and innovating architectural style designed by Frank Gehry which will rise 56 meters above the Avenue Victor Hugo. Through its multi-disciplinary approach, mixing contemporary art, urbanism and architecture, Frank Gehry has created a project anchored at the Parc des Ateliers site, but also in the landscape of the city of Arles. Scale models, visible at the Maison du Projet, located on the site, present the future view of the site. “The LUMA Foundation project at the Parc des Ateliers is an attempt to imagine and create a cultural institution of a new type.” Maja Hoffmann, president of the LUMA Foundation. 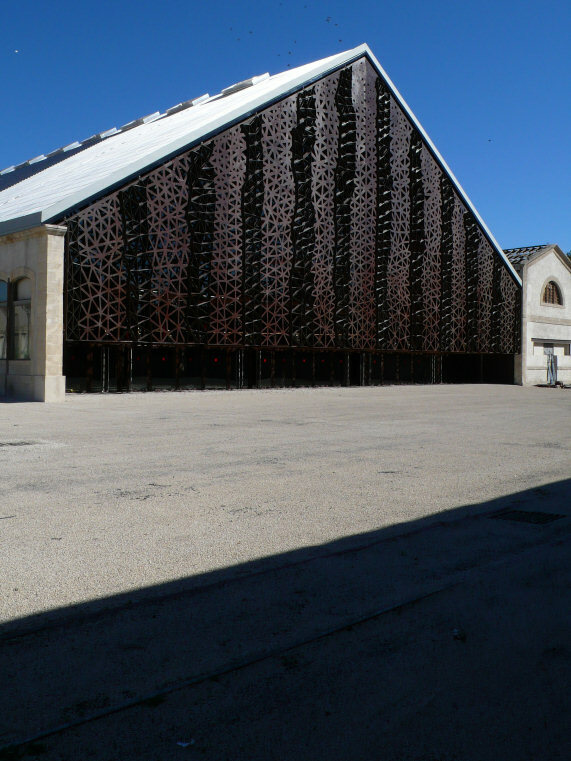 The Parc des Ateliers is a cultural project of international dimensions undertaken by the LUMA Foundation with the support of the Mayor of Arles, Hervé Schiavetti, the former President of the Regional Council, Michel Vauzelle, and of the Minister of Culture and Communication at the time (Frédéric Mittérand) and imagined by the American architect Frank Gehry, who also created the Guggenheim Museum in Bilbao. The renovation of the old industrial buildings on the site has been carried out by the New York architect Annabelle Selidorf. In the middle of a garden-park designed by the Belgian landscape architect Bas Smets, the new building and the original buildings will form a true inter-disciplinary platform including exhibition spaces, archives, artists’ residences, a restaurant… This cultural complex will be integrated into the artistic, intellectual, ecological, social and economic fabric of Arles and the Camargue. The scale models, presented to the public in July 2010, have revealed a new building designed by Frank Gehry and already integrated into the panorama of the monuments of Arles. At the Construction Info Centre you will have the opportunity to ‘virtually’ walk through two buildings: the new building designed by Frank Gehry and the Atelier de la Mécanique, one of the original, industrial buildings renovated by Selldorf Architects. Samples of the materials used for the buildings are also presented and visitors will be able to see the entire construction site from a panorama-terrace. Please note that for security reasons, the virtual visit is only available for children aged 13 years and over. Tours are free and last approximately 1h30 min. Open on 1 & 8 May; closed on 29 & 30 May. The Grand Halle is a former industrial building located on a site important to our 19th-century industrial heritage : the SNCF locomotive shops, covering 5000 m2. This site will be completely rehabilitated and become a cultural center devoted to new technologies in the domains of multimedia creation, computer and virtual imagery. The Grand Halle will thus become the emblem of the economic and cultural rebirth of the industrial site. Like a double-faced Janus, the façades and roofs play on contrasts between heritage and modernity.